A word about CGH Belgium: The previous name of our company was TCI Environment International NV (TCI) that was founded in 1992 . TCI became a member of the CGH Group from 2007. In 2014 the two Belgium companies in the Group (TCI and - BENEPO / CGH Fuel & Tank components) merged and got the name CGH Belgium. 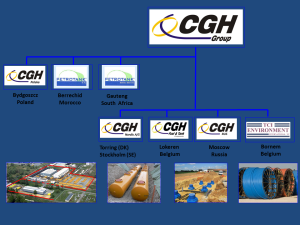 CGH Belgium’s products are highly compatible with the tanks products in the group and brings more than 15 years experience in plastic pipe systems and accessories for underground storage and transportation of hazardous liquids . Protection of surface and groundwater is one of TCI’s goals. 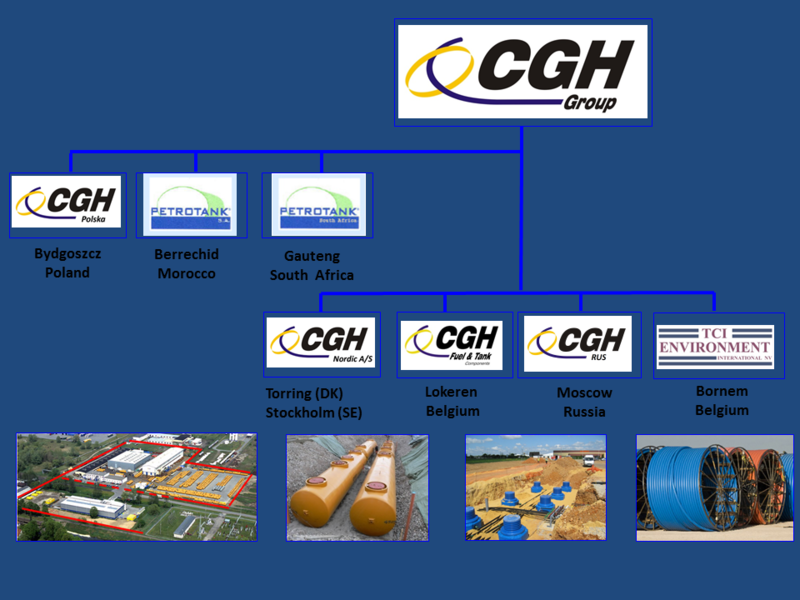 CGH Belgium’s activities focus on the petroleum and chemical industry in Europe , Middle East, Africa and Asia. Our reference list includes thousands of installations which work to the satisfaction of international oil companies , local dealers , maintenance companies and official environmental agencies . A team of specialists is available to provide technical advice and support to engineering firms and installers .